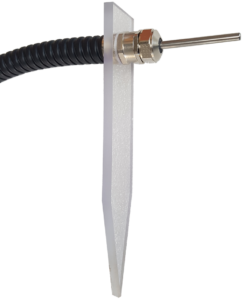 PULSONIC measure the actinothermic index with a Pt100 probe similar to a Pt100 use for air temperature. The main difference is the set-up, there is no shelter to protect against direct sun radiation, the Pt100 probe is place at 5 or 10 cm above the ground. The information use for Actinothermic index is the minimum of temperature.